A little castle for your rabbits, the Amish Made Double Rabbit Pen with Nests gives them room to eat, sleep, play and get cozy. 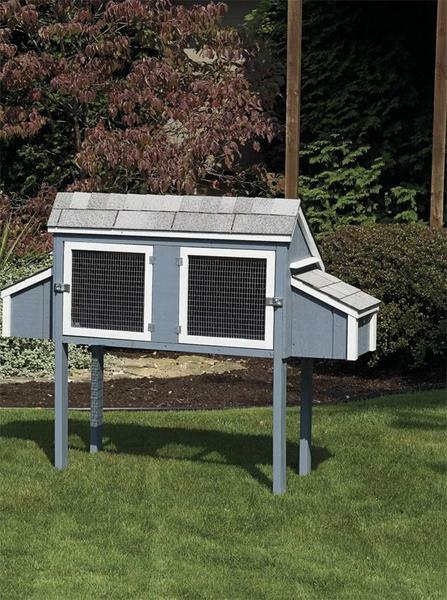 This rabbit pen features two nesting areas for bunnies to snuggle up. Features a pull out tray for easy cleaning. This Amish made outdoor furniture measures 24" x 48" and comes in your choice of beige, grey, hunter green, light blue or red.